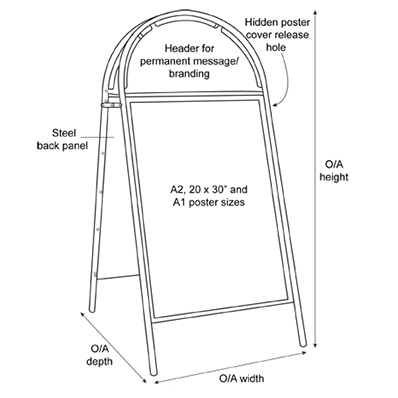 Add style outside your building with this appealing oval top poster A-Frame. 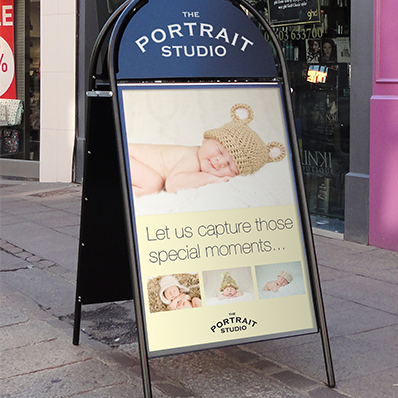 The posters can be changed in an instance making this A-Board ideal for locations with regularly updated information for example displaying live matches in a pub. 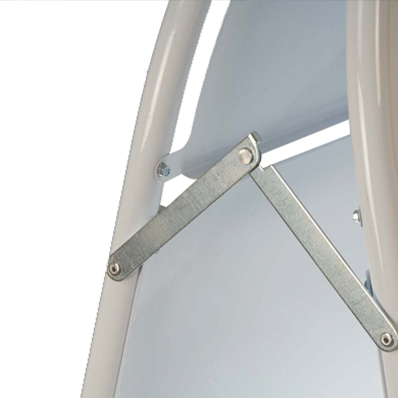 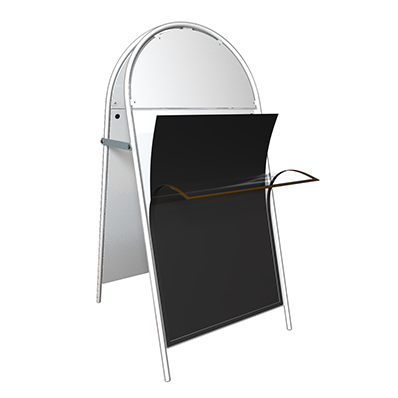 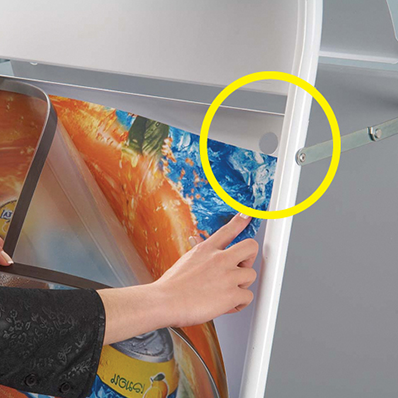 The double sided display offers maximum visual impact while the shaped header provides an ideal area for adding your company name or logo.